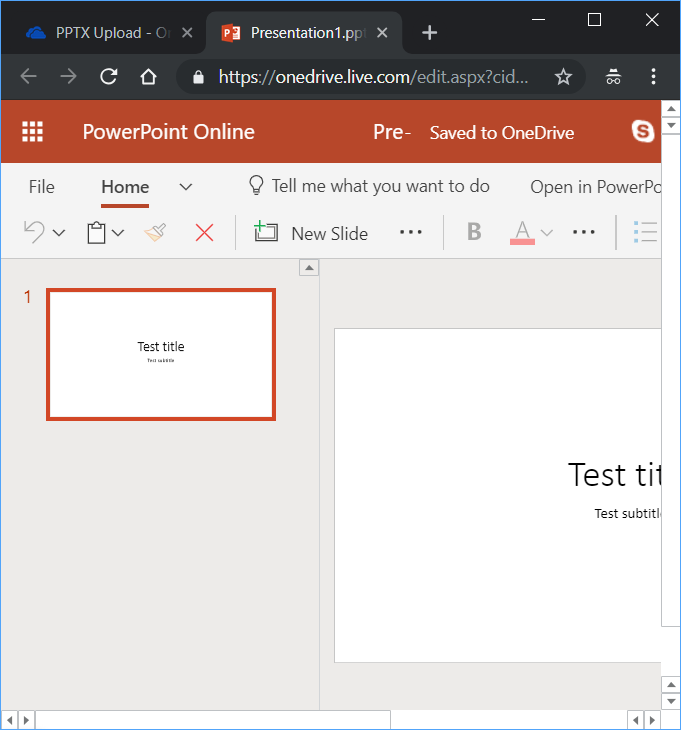 If you need to open a PPTX file on Windows operating system and you don't have an active Microsoft Office subscription the easiest way to do it would be by using Microsoft OneDrive presentation import and editing capabilities. Open your favorite browser and navigate to Microsoft OneDrive by typing https://onedrive.live.com/ into the browser address bar. If you are not yet logged in with your OneDrive account proceed with login or create an account if you don't already have one. OneDrive interface will load. Navigate to a folder where you want to place your PPT or PPTX file. Click on "Upload" button (typically it looks like an arrow pointing up with a dash on top of it). Select a file you want to upload and click "Open".